General views in Dhangadi, Nepal. Bicycle repair shop in Dhangadi, Nepal. One of the staff of beauty parlor pose in front of the poster. Dhangadi, Nepal. 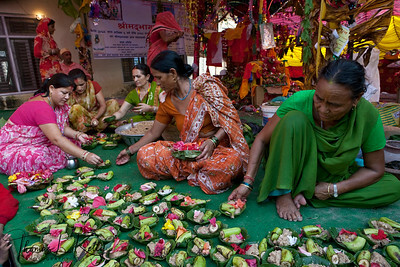 People gathered at local temple in Dhangadi for Shreemad Vagwat puja. Nepal. Bicycle is a favorite and easy mode of transport in Dhangadi as it locates in Souther Terain belt (plains) unlike other hilly or mountain regions in Nepal. General views of on the way to Rana Tharu Village, Shanti tole. Dhangdi. Nepal. Rickshaw puller taking midday break as they relax and chitchat with fellow-drivers. General views enroute to Dhangadi from Rana Tharu village called Shanti tole. Dhangadi, Nepal. Maiti Nepal girls interrogate people flowing in and out of Nepal at Paliya-Dhangadi Boarder, Gauri Phunta. Dhangadi, Nepal. Flow of people in and out of Nepal at Paliya-Dhangadi Boarder, Gauri Phunta. Dhangadi, Nepal. 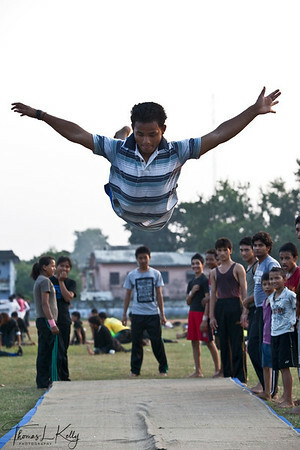 Gymnastic practice at Dhangadi stadium. Dhangadi, Nepal. Players practice Taekwondo at Dhangadi stadium. Dhangadi, Nepal. 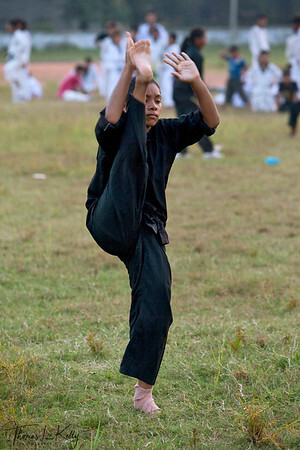 Practicing ushu, one of the martial arts, that is famaous in Nepal after Taekwondo at Dhangadi stadium. Dhangadi, Nepal.